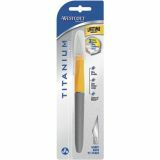 Titanium Bonded Hobby Knife - ACME-One hobby knife with #11 blade. 3 times harder than stainless steel. Ultra durable, stays sharper longer, and has contoured RibGrip. 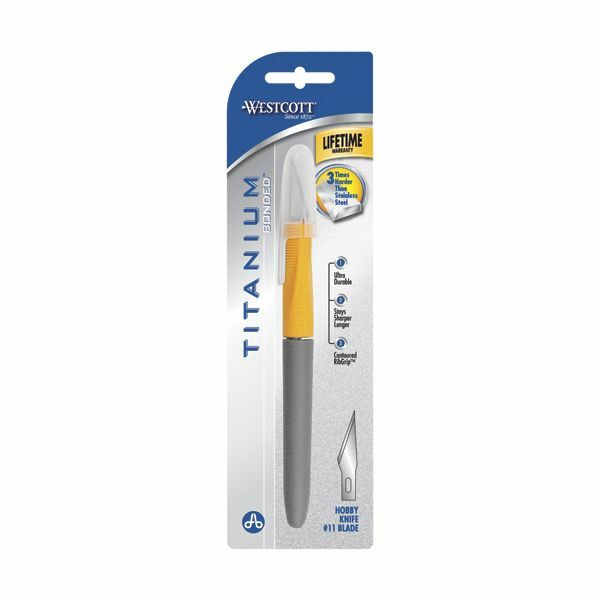 Westcott Titanium Bonded blades are highly resistant to rust and corrosion. Westcott uses a process that bonds titanium to a steel core to produce a more durable, longer lasting hobby knife for home and office use. Acme United Limited Lifetime Warranty.